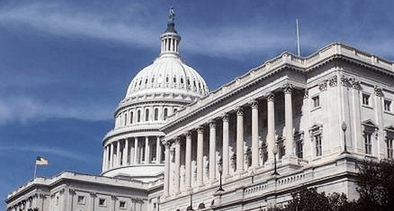 Small Business Committee Chairs – Who’s Up Next? Ohio Representative Steve Chabot and Idaho Senator James Risch says the Washington Post’s J.D. Harrison. Chabot also sponsored a bill that would increase the Small Business Administration’s funding authority for certain Small Business Investment Companies, which generally invest in young, fast-growing ventures. This summer, he proposed creating an income tax credit for individuals who invest in early-stage companies. In many ways, a Chabot agenda — less spending, fewer regulations and more access to capital — would pick up right where Graves leaves off. During the past six years, the Missouri representative has challenged countless regulations he believes hit small businesses particularly hard and he has pushed the SBA to strengthen some of its longstanding lending and investment programs. He has also led the committee’s efforts to eliminate fraud in the federal contracting arena and help small companies win for more government work. Chabot wouldn’t likely be the only new face of small businesses in Congress next year. Should Republicans take back the Senate, as many predict (The Washington Post’s own forecasts currently put the chances at 96 percent), they would take control of the chamber’s committees, too. Sen. James Risch (R-Idaho), the ranking member of the Senate Small Business and Entrepreneurship Committee, would be the most likely choice to take the gavel. Like Chabot, Risch has backed legislation that would require regulators to take a closer look at how new and existing federal rules affect small businesses, as well as several bills intended to expand access to capital for entrepreneurs. Last year, he introduced in the Senate the very same proposal to expand the Small Business Investment Companies program that Chabot pitched in the House.